We aren't your typical bowling alley, we're Ann Arbor's entertainment hub. 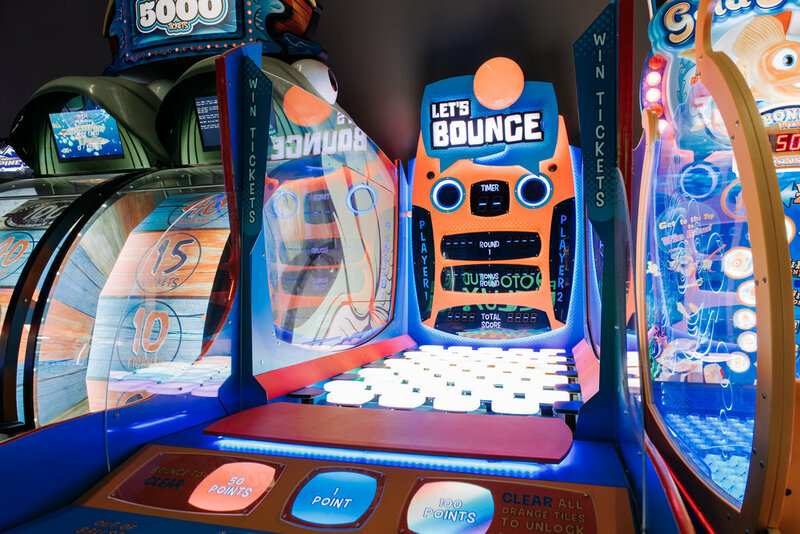 We have more TVs than anyone in the county and some of the largest screens in the Midwest, an arcade with close to 100 games, shuffleboard, pool tables and a menu that will leave you surprised and wanting more. Perfect for a spontaneous night out or for birthday parties, private events and large groups. We've got a little something for everyone. 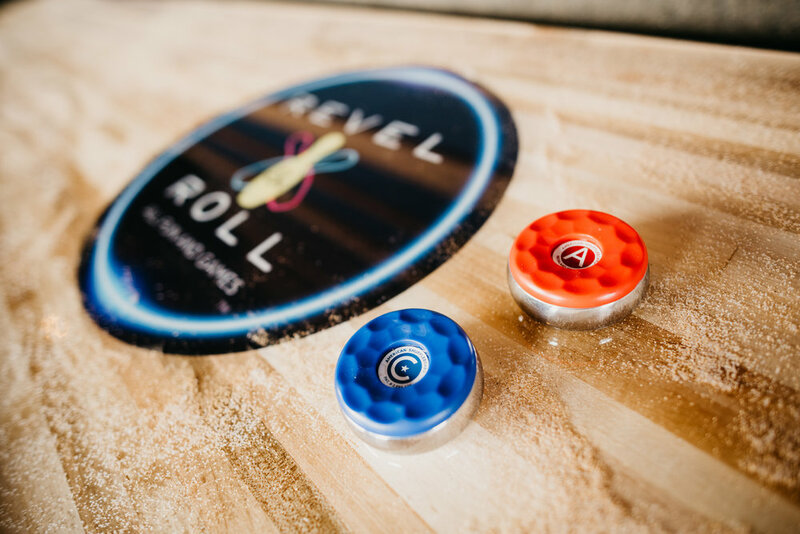 We had our corporate party for almost 500 people at Revel and Roll this year and the feedback has been great. A super venue! Our group of children, teens, and parents had a fantastic time at Revel and Roll. We had so much fun bowling and playing arcade games while enjoying delicious food! This place is so beautiful and lively. There’s something to do for all ages. The post party yesterday was awesome. Everyone had a great time. Ashley was our server and she was fantastic. Book your next event for family, friends, or business. 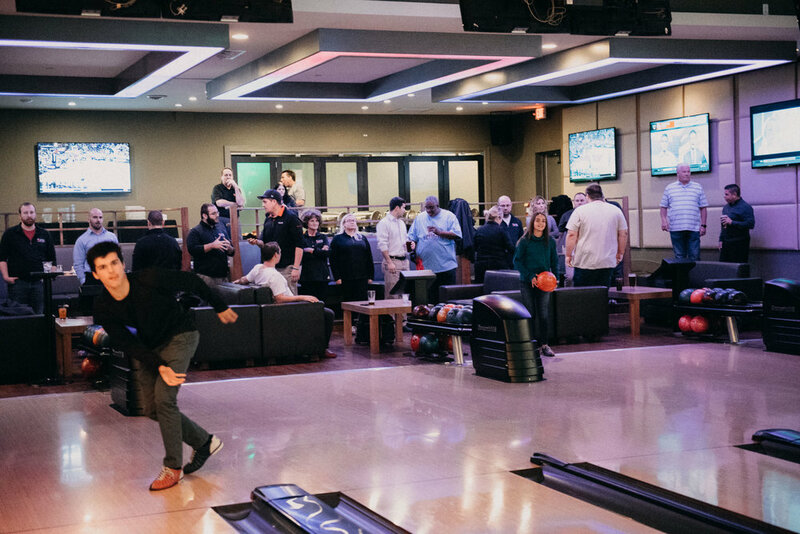 Set up a lane-side lounge for a small party, or reserve our private bowling suite for a venue like none other. Our private event rooms are customizable and can be configured to accommodate the particular size and purpose of your party. Our Coach's Room garage door opens to a beautiful patio with plenty of seating and some awesome game to keep you entertained. 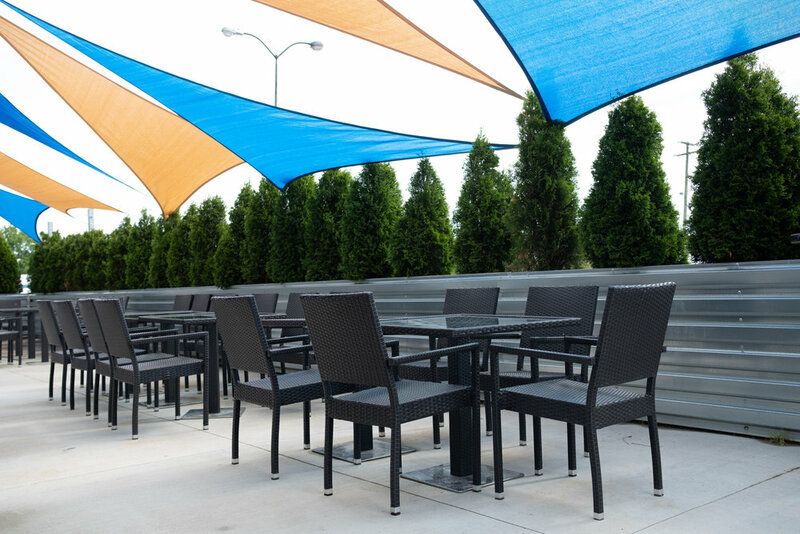 Come check out our patio this summer and play some Giant Jenga, Connect Four and more! Be sure to check out the all new menu released in Spring 2018.